I’ve got another great guest poster this week! Based on all the pinning you did last week, I’m guessing you LOVED the DIY Koozies that Katie from View from the Fridge shared here. I hope you show Bette from Somerset Lane the same love! If you are a regular reader, you may remember that Bette did an interview with me on her blog several weeks ago. She has a great series called Feature Friday that highlights a different blogger each week. I always look forward to seeing who is interviewed! 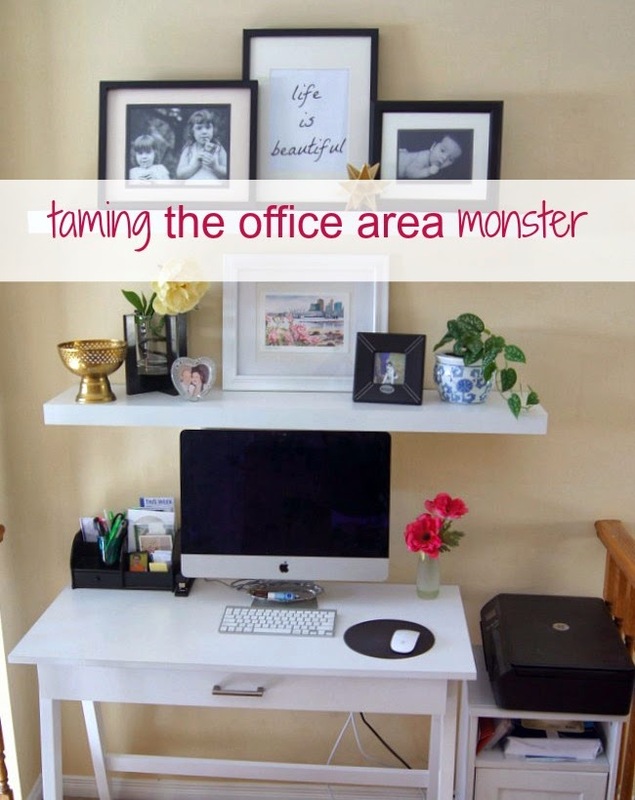 She also shares great recipes and home posts, like her office area makeover. Now that the introductions are out of the way, here is Bette with a great printable tutorial for us – I can’t wait to try it! PS: The links below to PicMonkey are affiliate links. You can totally do this project using the free version, but if you decide to upgrade to Royale after clicking the links, I get a referral fee. You still pay the same amount. Thanks! So I played around in Picmonkey and came up with my own “Pièce de résistance“. Are you ready to create your own? Step 1: Open Up PicMonkey and choose “Design”. Now choose the size you would like your canvas. I used the 8×10 to fit my frame. Step 2: In “Editor” choose Themes (the apple at the very bottom). Now choose the “school” theme. 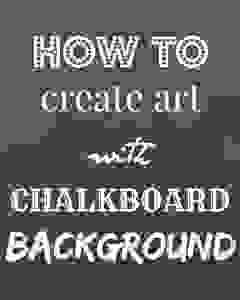 Scroll down until you find “Boards” you will then see the chalkboard effect. Hit apply. Step 3: The next big step is choosing your saying and fonts. Step 4: You will notice your fonts will come up as black in color. To change the color, highlight your words, put the cursor over the box on the right and click until the “eye dropper” comes up. Now you can choose any color you want. You can play around and use different fonts and sizes to get the look that you want. There are beautiful sayings on the Internet, and you can use this “art” for any room of the house. Here is the “art” that I used. Bette Creek blogs at www.somersetlaneblog.com where she talks about life with three kids, decorating, crafting and cooking. You can also follow along on Facebook . 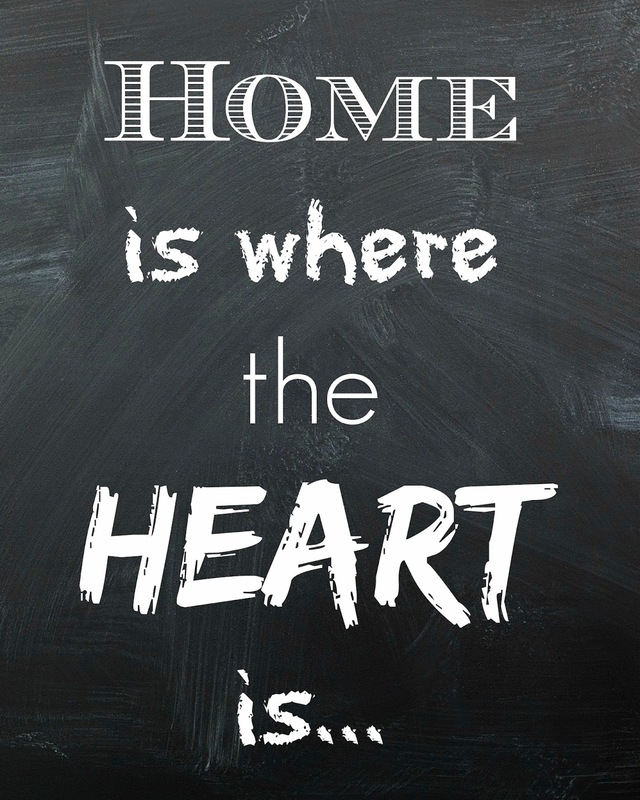 If you are interested in being featured on Guest Post Tuesday, email me at melissa @ polishedhabitat.com! Hey Melissa! Stopping by from #tribedare to show you some love. I had never heard of picmonkey until after starting my blog and now it is somewhat of an addiction. I actually paid to join mostly because I wanted more of the chalk fonts. 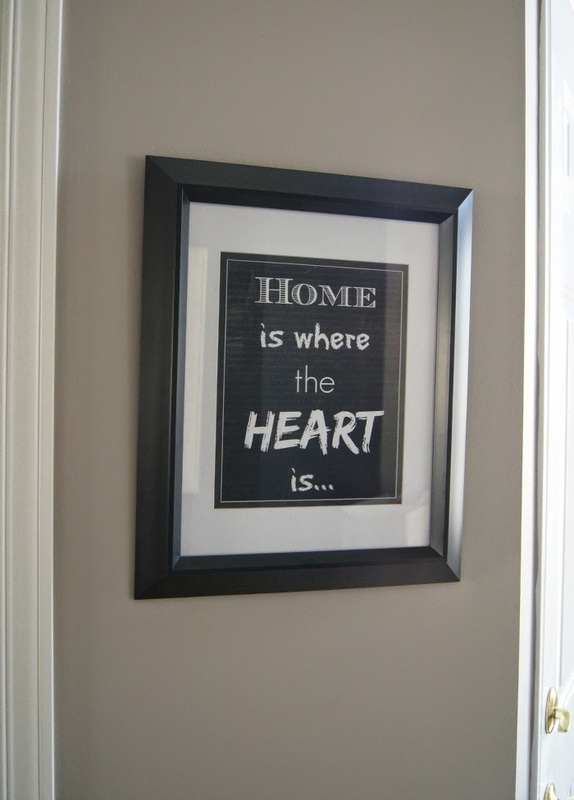 Thanks Stacy – Bette did such an awesome job with her chalkboard art! PicMonkey is the best! 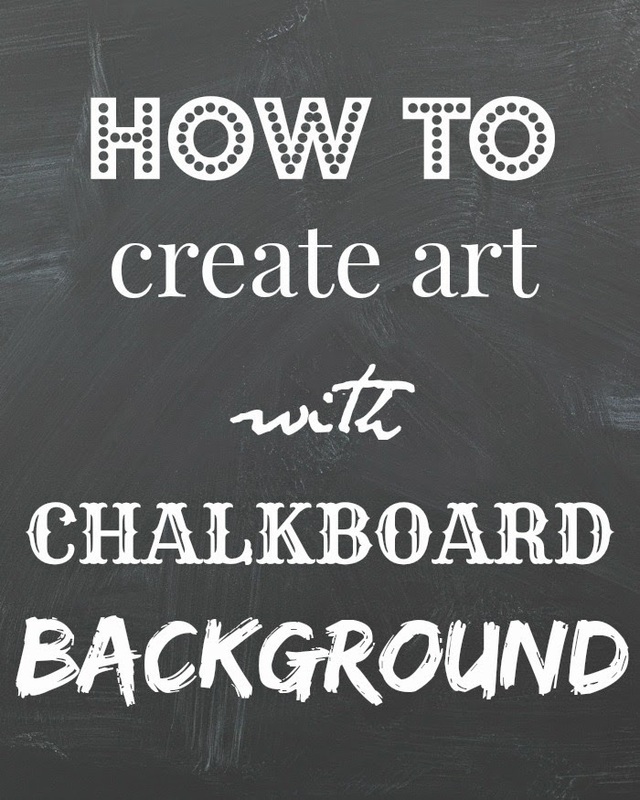 Great tutorial, I use picmonkey all of the time and can’t wait to try this. I really enjoyed reading your about me section. Okay … So I use pic monkey ALL the time. Like hours every day. 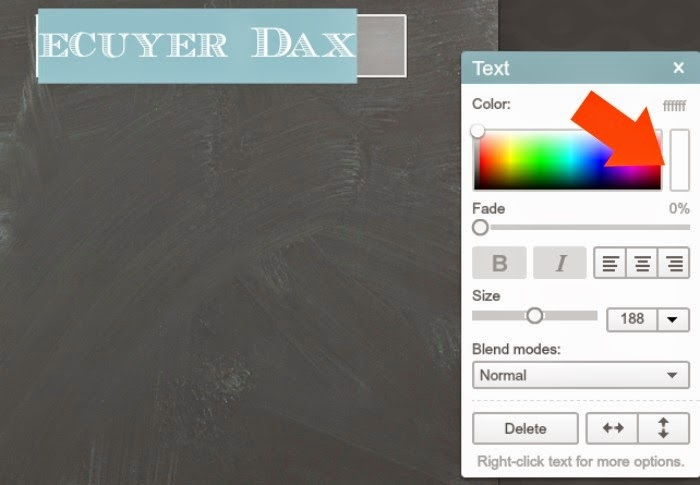 Ad I did not know (or notice) that they had a chalkboard effect background!! I am pumped!! I can think of a bunch of uses for this in my home AND on my blog. Thanks so much for sharing, Bette! Great tip! !